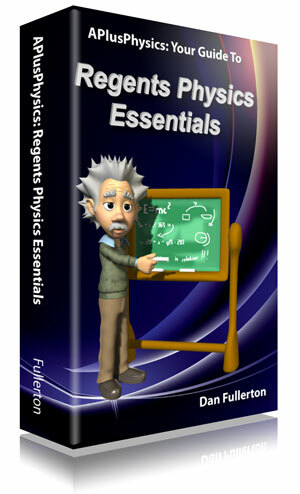 Featuring more than five hundred questions from past Regents exams with worked out solutions and detailed illustrations, this book is integrated with the APlusPhysics.com website, which includes online question and answer forums, videos, animations, and supplemental problems to help you master Regents Physics essentials. And you can find even more questions (with answers) in The Ultimate Regents Physics Question and Answer Book. Available from major booksellers such as Amazon.com and Barnes & Noble. Suggested retail price: $13.99. Volume discounts available -- contact Sales@SillyBeagle.com for more information (585-943-9449). ISBN: 9780983563303. Ebooks available through EdTech. Available for Kindle, iOS, PC, Mac, and Android from the Amazon Kindle Store!